Hi all, Since the previous post was a general guide, today I’ll talk about the steps you go through when you’re in the store. Upon deciding that you’d like to buy a new pair of shoes or yourself, what stores do you go to? I’m sure most of you would have set a budget for yourselves. So, firstly what’s the price range of shoes that you’re looking at? 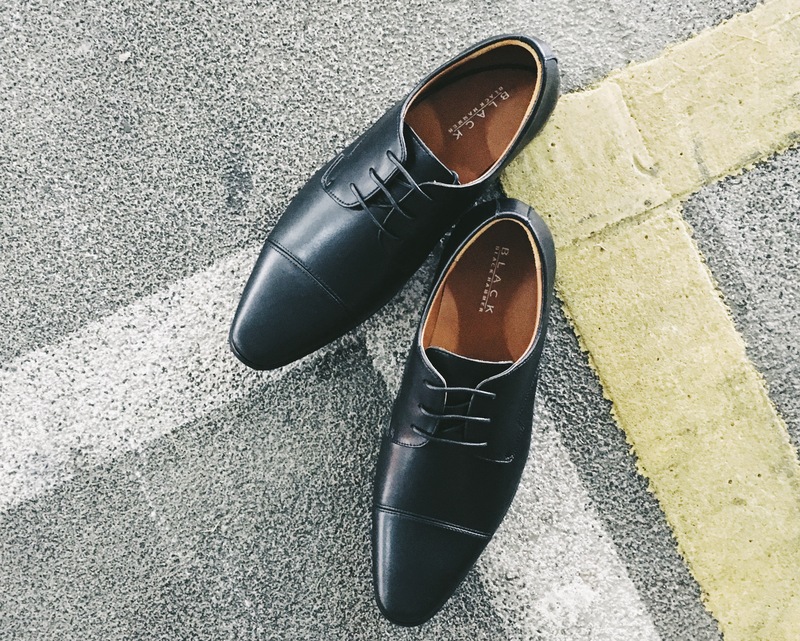 You can get a decent pair of leather shoes at $80 in Singapore. It’s nothing too fancy, but basic shoes that you can wear to work. At $100, you can get a better pair. Most shoes priced at $200 and above, are of considerably good quality. Always look for the stores or brands with reputation. They don’t have to be extremely established, but it should be a store you can trust. Don’t assume your shoe size. 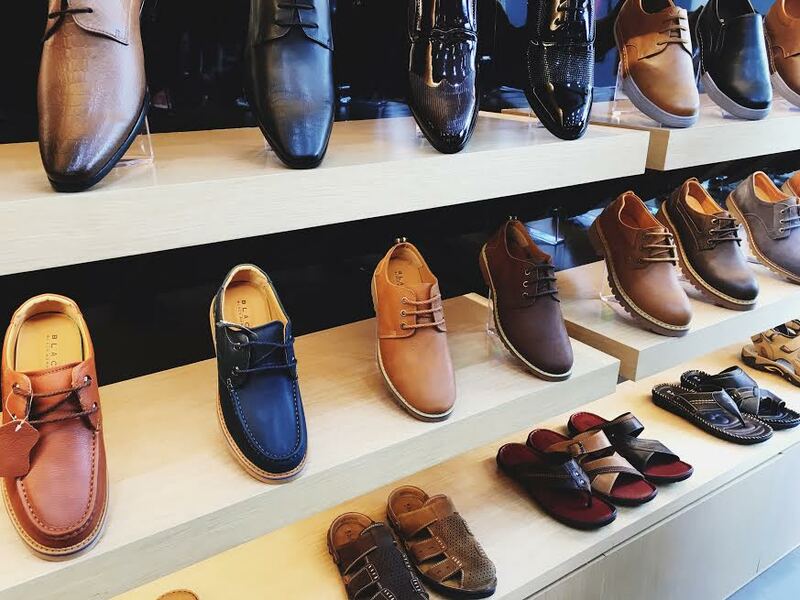 The cutting of leather shoes can vary greatly from your sports shoes and sandals. Always try on shoes in the store and remember to try both sides. As mentioned, most of us have one foot bigger than the other, the larger feet determines the size you should buy. Tip 1: The best time to try on shoes is in the afternoon. Why? 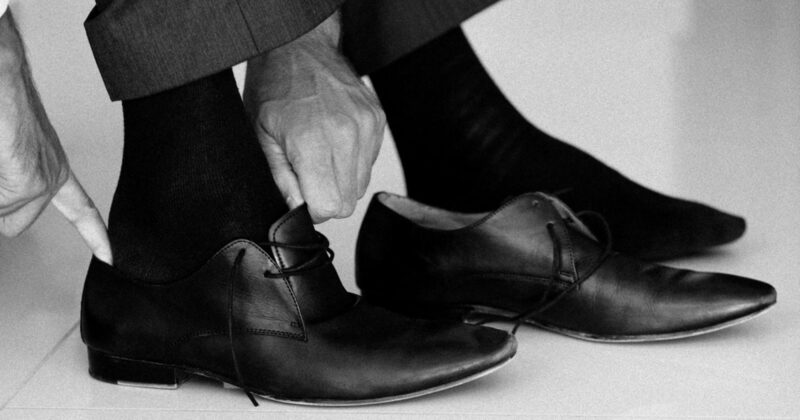 Your feet tend to swell throughout the day, to ensure a proper fit; you should try on your shoes later in the day. Tip 2: As you’re trying a pair of shoes in the store, wear the socks you typically wear with your leather shoes. The thickness of the socks will affect your comfort level. Tip 3: How snug should your shoes be? Slide an index finger behind your heel. If it doesn’t fit, size up. If it slides in too easily, drop half to full size. You should be able to move your toes freely. Tip 4: Don’t just slip on your shoes, walk around in the store. This gives you a better indication of the comfort level of the shoes. Does the shoe cut or hurt you? Leather shoes will hurt when you first wear them but it should not be overly painful or bring you too much discomfort. If so, forget it and find another pair.